In his book "A History of East Leake" (1903, p.58) the Revd. Sidney Pell Potter remarks that at noon on Shrove Tuesday it was the custom to ring one of the church's bell (a small bell known as the 'Ting-Tang') when it was termed 'The Pancake Bell'. "It is easy to connect", he says. "this day's ringing with the shriving* of old, which gave the day its name". * the act of a priest hearing confession. 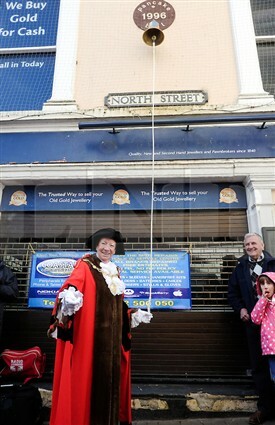 Does anyone know of instances where a Pancake Bell is still rung in Nottinghamshire today? If so, please leave a 'Comment' via the link below. This page was added by Website Administrator on 06/02/2018. There's a document in Notts Archives (Ref.DD121/1/67) about old village life at Whatton in Notts (written in 1960) which says that "The Pancake Bell was rung at eleven O'clock on Shrove Tuesday, but was discontinued during World War I."